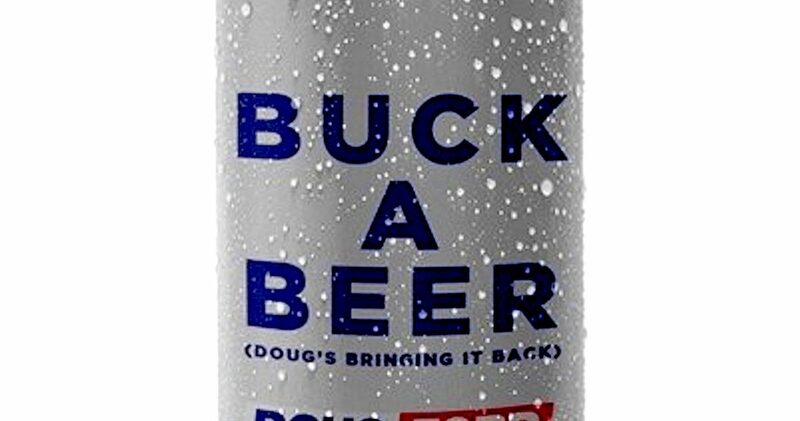 The Ontario Progressive Conservative (PC) Party is promising it will bring back Buck A Beer for Ontario citizens if elected. Rob Ford says that for too long, Ontario residents have been forced to pay inflated prices on beer. He plans to put an end to that by giving them the option of purchasing $1 beer (plus tax and deposit, of course) in order to save his constituents money. In order to gain an edge over the Liberal Party, he says the Liberals increased the minimum floor price in 2008 and he is going to set things right by reversing that. He proudly claims the Conservatives are the government that puts people before corporation and believes that government shouldn’t stand in the way if a brewer wants to offer you cheap beer. Where you can purchase that beer is also one of Doug Ford’s campaign promises. He wants to introduce beer sales in corner stores. After all, shouldn’t you have a choice where you can buy your cheap beer? Cheap Beer or a Cheap Bribe? Is cheap beer just a cheap bribe to gain votes? While offering the Buck A Beer option, Ford has also claimed the Tories will reduce the price of gasoline. Yet, he has not said how he will manage the province’s finances nor has he committed to Ontario’s issues of education, housing or employment. While beer may be important to some, perhaps the average citizen is more concerned about the meeting wages with the cost of living, or with affordable housing, or an increase in health services and education rather than $1 beer. Is Rob Ford insulting your intelligence, or giving the people what they really want? Let us know your thoughts! Is Canada Getting It’s First Cannabis Beer? Will Alberta Allow Craft Beer to be Sold in Farmer’s Markets?